Legislative Summit was held July 25 for each unit legislative chair. ​The 2019 legislative platform was distributed. Members were told how to run for office and was encouraged to do it. 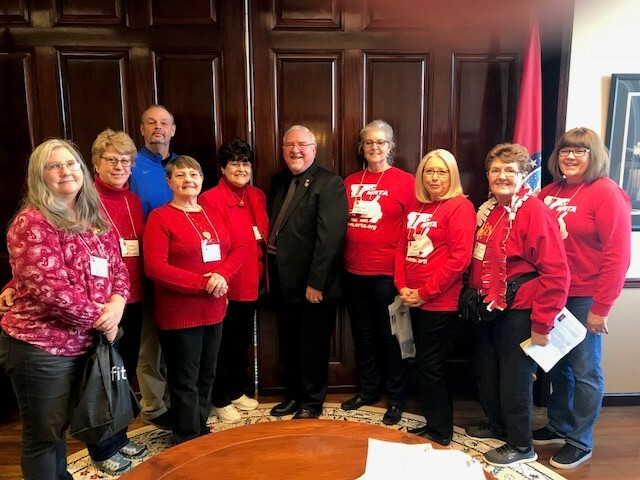 Legislative Day was Tuesday, February 13, 2018. There were many in attendance. The representatives and senators said they were receiving many emails and calls. SARTA received the Unit of Excellence for the fifth year in a row. The SARTA Workshop for retiring teachers is April 14, 2018 at the Library Station on north Kearney. It is in the Frisco room starting at 9:00-12:00. The SARTA picnic will be held June 11, 2018 at the South Street Christian Church starting at 11:30. Retiring public school staff will be honored as well as the SARTA scholarship recipients​.